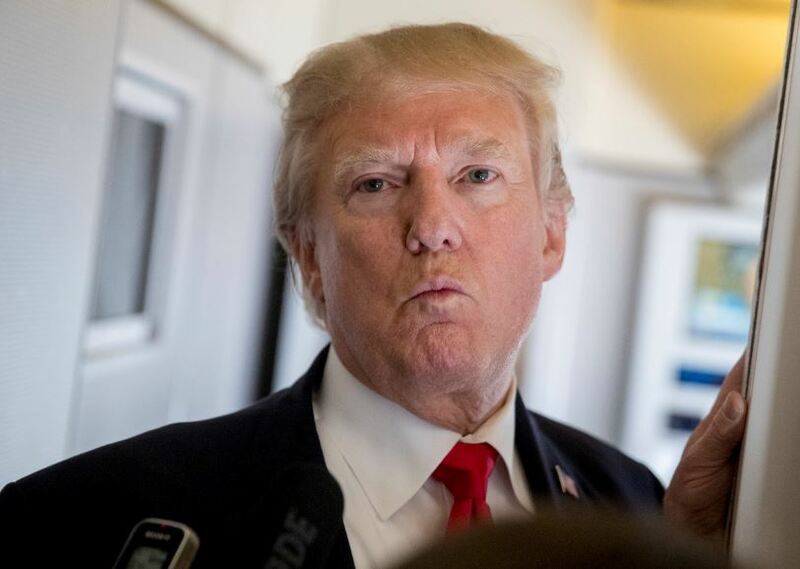 Donald Trump has now claimed he would have run in to the Florida high school targeted by a gunman, even if he was unarmed. Yep, just when you thought you’d heard it all from him, he goes and says that. 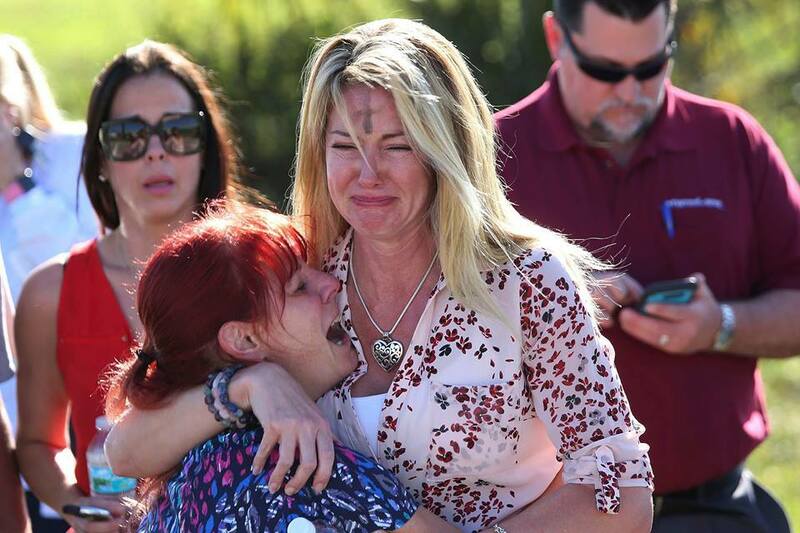 It comes after an attacker stormed Marjory Stoneman Douglas High School on February 14, leaving 17 people dead. 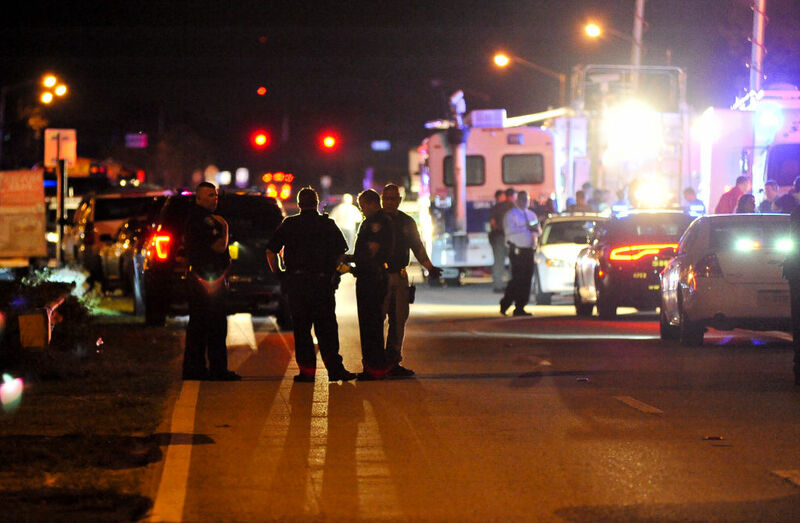 Nikolas Cruz, who is law enforcements only suspect for the deadly rampage at his former high school, is expected to plead guilty in exchange for life in prison, according to the latest news reports. 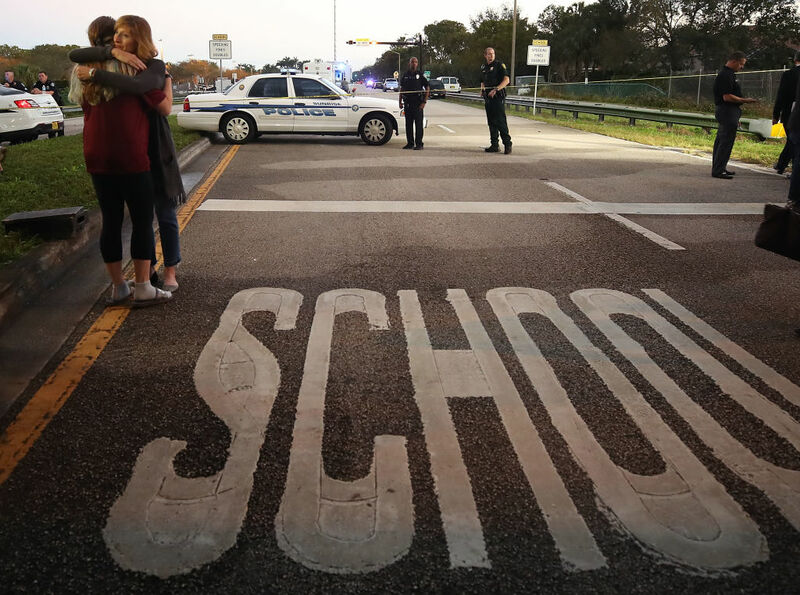 Since the attack, there have been suggestions made by the President, to allow teachers to keep guns in classrooms as self-defence, which has been widely criticised. You don’t know until you test it, but I really believe I’d have run in there even if I didn’t have a weapon. And I think most of the people in this room would have done that too, because I know most of you. But the way [the first armed police] performed was a disgrace. Of course you would, Donald. His comments come amidst a fierce debate on gun laws in the country. A number of the students from the school, and campaigners have been calling on Donald Trump to regulate and control access to guns. 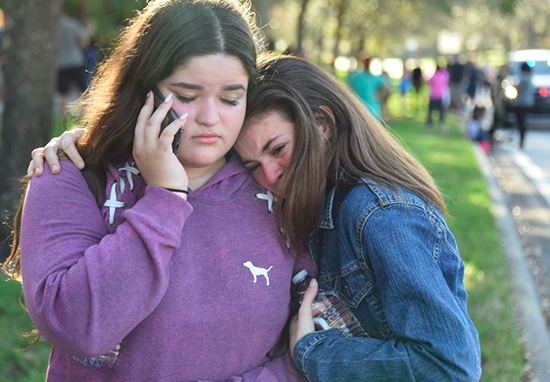 Students have been leading a powerful and inspirational campaign to fight for change, so they’re the ‘last pupils in America to suffer a mass shooting’. The National Rifle Assocation (NRA), spent $30m on helping Trump’s presidential campaign, leading to his election in 2016, believes there should be ‘no new legislation that bans weapons’, or assault rifles. Only two weeks ago 18-year-old student Emma González was leading a normal life, but two days after the horrific attack, she spoke out about gun control and violence in an incredibly powerful and moving 11-minute-speech at an anti-gun rally in Fort Lauderdale. Since footage of her went viral, Emma has become one of America’s most prominent activists calling for stricter gun control laws. As of today, (February 25), she’s got more followers on Twitter than the NRA. Capturing the world’s attention with her speech, including celebrities such as Laverne Cox and Zendaya, Emma made a Twitter account to promote her cause. Emma has attracted a wave of support from Americans, and the rest of the world. Alongside her fellow students, Emma has formed the ‘March for Our Lives’ movement which will see thousands of people take part in a planned demonstration on March 24. The group of students behind the movement are encouraging others to take to the streets and demand politicians listen to them now to prevent any further tragedies. Lady Gaga, George Clooney and Justin Bieber are a few of the celebrities who’ve shown support for the demonstration. Not only does Emma want politicians to listen to the calls for stricter gun control laws, she also wants to see the NRA lose its vast influence and hopefully be toppled altogether. Since the attack, the NRA – which represents gun owners in the US – has lost the support of several companies such as Hertz, Delta and the First National Bank all of whom have pulled out of promotional contracts with the organisation. The association put the blame for the attack on failures of both the police and high school, which lead to the hashtag #BoycottNRA trending online. Many businesses have since cut their ties to the NRA as pressure from customers and campaigners builds. They include Delta Air Lines, United Airlines, Avis, Enterprise and Hertz, hoteliers Best Western and Wyndham.